These Terms and Conditions of Membership (“the Agreement”) apply to the relationship between Japan Thailand Golf and Wellness Association (“the Association”) and each individual member of the Association (“the Member”), and define the acquaintanceship and rules for the Member. 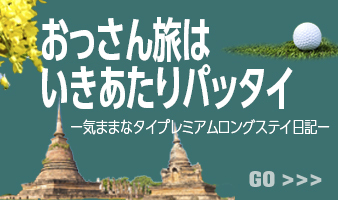 Once an applicant submits an application, Japan Thailand Golf and Wellness Association Office (“the Association Office”) presumes that the applicant has agreed to the Agreement. The Association operates itself in accordance with the Agreement set forth with Members. Furthermore, additional rules set forth by the Association as needed shall be incorporated to the Agreement. The Association may modify the Agreement when the Association deems necessary to keep smooth operation, without obtaining prior approval from Members. The modification will become effective once the modified Agreement is posted on the Association’s website or notified by e-mail, in Written Form or other ways the Association deems appropriate. 1) “Member” is collectively defined as a member of the Association. 2) “Written Form” is defined as a written document in the format specified by the Association or a written document in an arbitrary format (including electronic documents). Notifications and messages sent to the Association Office via the e-mail address registered upon admission shall also be recognized as Written Form. Chapter 2	Application for Admission, etc. The party who is to become a Member shall pay the admission as well as the annual membership fees separately set forth by the Association, and fill in and submit the application form to the Association Office. Article 5: Rejection of Application for Admission, etc. 3) Other cases equivalent to the preceding events and that are deemed by the Association to be inappropriate to admit to membership. 2) The membership validity shall start from the date the membership fee payment has been made after the Association’s approval. However, for members joining the Association after the commencement of the membership year, the annual membership fee for the first year shall be calculated by the month and the fractional part shall be rounded up. Membership types consist of the following. Admission fees and Membership fees for Members are shown below. Membership benefits are shown below. Benefits: Preferential participation to workshops, events, seminars, training/inspection tours, etc., and occasional e-mail newsletter service, etc. Chapter 3	Change in Member Information, etc. Article 8: Change in Member’s individual name and/or group name, etc. In the event of changes in the Member’s individual name, group name, address, phone number, e-mail address, etc., the Member shall promptly give notice to the Association Office in Written Form. However, the Association shall not be liable for any delivery delay or delivery error of notices, messages, documents, etc. sent from the Association to the Member due to the absence of the notice of change as prescribed in the preceding clause. 1.) The Member submitted a notice of withdrawal. 2.) The Member himself or herself died or the Member organization ceased to exist. 3.) The Member was delinquent in payment of the membership fee and failed to respond to the payment reminder. 4.) The Association rescinded the Member’s membership qualification. The Member may withdraw from the Association by submitting a notice of withdrawal to the Association Office. Membership fee, once it is paid, shall not be refundable. In the event that a Member falls under any one of the following items, the Association may suspend or rescind membership of such Member without providing prior notice or advice. 1.) The Membership fee has not been paid. 2.) The Member violated or contravened with domestic and international laws and ordinances or offended public order and morals. 3.) The Member has engaged in activities that infringe or likely to infringe intellectual property rights such as trademarks, patents, design rights and copyrights, and privacy of the Association, its Members and/or a third party. 4.) The Member has spread information for the purpose of harassments or libelous attacks against the Association, its Members and/or a third party. 5.) It was found that the Member made a false entry on the membership application. 6.) The Member has engaged in actions that jeopardize the name or credit of the Association, its Members and/or a third party. 7.) The Member has violated the Agreement. 8.) In other cases the Association deemed the Member to be inappropriate as a Member. Membership fee and other contributions, once it is paid or contributed, shall not be reimbursed. In the event that the Association is not able to confirm the Member’s willingness to pay the membership fee and the Member would not renew its membership that has been expired even after the notice from the Association, or the membership of such Member has been terminated due to other reasons, the enforcement of membership rights shall be suspended. In such a case, the Member shall promptly settle its accounts with the Association. Chapter 6	Use of Trademarks and Trade Names, etc. Article 14: Use of Trademarks and Trade Names, etc. If a Member needs to use the trademarks and/or the trade names set by the Association for personal purposes or any other purposes, the Member must obtain the approval of the Association in Written Form prior to the use. Members must not engage in advertising and publicity activities for commercial purposes through the unauthorized use of the Association’s name, membership list, etc. and its philosophy and what it does as its mission. Members shall understand the Association’s goal and must not engage in each and every action listed in Article 11 or other actions that jeopardize the Association’s purposes. However, the following data will be published on the Association’s website or membership magazines, etc. to encourage social interaction among Members. Also, a Member’s website and that of the Association may be mutually linked if requested by the Member and the Association. All copyrighted works, know-how, ideas, inventions, creations, designs, trademarks, etc. brought forth by the Association belong to the Association. All documents and data created and published by the Association must not be published in other media, given over or sold to a third party or disclosed publicly. In the case where the Association has suffered loss/damage due to the Member violating the Agreement or rules based on the Agreement, such Member shall compensate the Association for its loss/damage. The Association shall not be responsible for damages, etc. inflicted upon Members for any reason, unless such damage is caused by intent or gross negligence of the Association, in relation to the use of the service offered to Members. Provisions set forth in the Article 13, Article 15, Article 20 and this Article shall be effective even if the Member has withdrawn from membership or the Member’s membership has been suspended or rescinded. The construction, validity, performance and interpretation of the Agreement shall be governed by the Laws of Japan. The Association and Members shall agree that when a need for judicial action arises between the Association and Members, the Tokyo District Court shall be the exclusive consensus court of jurisdiction for its first trial. Matters not covered in the Agreement however deemed necessary by the Association shall be prescribed by the Association sequentially. Additional Provision	This Agreement shall be effective as of August 1, 2016.